At BlizzCon, not even Hydralisks get to jump the line. At BlizzCon, not even Hydralisks get to jump the line. 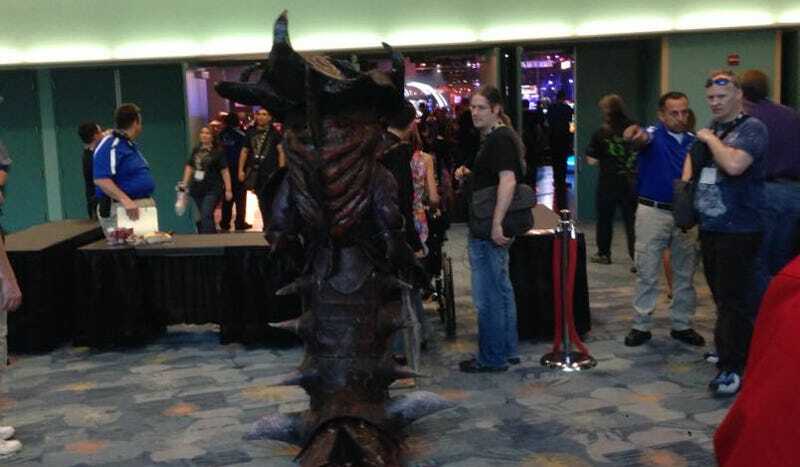 Here is a truly inspired piece of BlizzCon cosplay, a Hydralisk from StarCraft. Go below for more images and some video. Apologies for the blurriness. I need a better camera. They even had speakers in their costumes, and they could cue up recordings of iconic lines. I bet they were very sweaty.